Who could have thought that discarded washing machines could form the basis of an artwork? The Portuguese artists’ collective Teatro Metaphora did: they used dozens of washing machine drums for their hanging installation 'Midnight Summer Dream' and illuminated them in 5 different colours. The drums originate from discarded washing machines collected by the group members over the period of several months on the island of Madeira, where they live and work. Some machines were found in the garbage, while other unwanted ones were given to them by fellow islanders. The artists enjoy demonstrating that you can create something very meaningful when you recycle ordinary objects. For their project 'Yes, Less Can! '(2017) they collected an enormous amount of empty soda cans during a half year, which they then turned into colourful posters and decorations for the streets of Câmara de Lobos on Madeira. ‘Upcycling’, as it’s called, is something contemporary designers are doing more and more these days. Think, for instance, of Piet Hein Eek’s famous furniture pieces made of reclaimed wood. 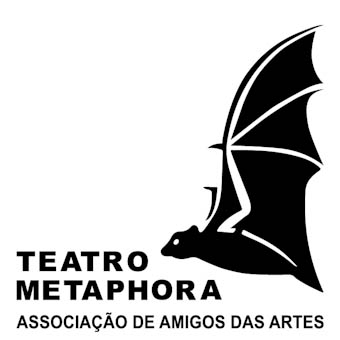 Teatro Metaphora doesn’t only work on art projects but regularly writes and organises theatre performances as well. It’s no coincidence then that the title of this artwork reminds you of William Shakespeare’s famous 16th century play, 'A Midsummer Night’s Dream'. In this piece, which takes place on a warm summer’s night in a forest illuminated by the moon, four young lovers, a group of actors and even fairies encounter a whole host of adventures. You’re now seeing this installation in slightly less sultry conditions, but hopefully you can imagine being in a similar environment, in the company of others and in the intimacy of the dark night. Cultural foundation Teatro Metaphora was founded in 2009 by a group of friends who live and work on the Portuguese island of Madeira. They organise not only (local and international) art projects but also theatre performances in which they try to stimulate creativity and social involvement. They always use theatrical elements in their artworks to make viewers aware of the importance of sustainability and upcycling in a light and cheerful way, and often ask for participation from the audience.